People everywhere are hungry for new leadership. They think they want a champion, a liberator, a Superman. History shows that when self-proclaimed saviors show up, few of them sustain. Leaders come, leaders go. What people canâ€™t seem to understand is that they themselves are the heroes, the ones who have always risen up and done the hard work. Your job is much simpler: to blaze a small trail and pave possibilities, to help people grapple with difficult brambles and storm-fallen tree limbs along the way, and finally, to move through and beyond momentary stalemates to the highest and best collective destination. In Japan, there is a story about a great Samurai who had attained near perfection in his swordsmanship. He was known far and wide as a brilliant tactician with blades and a most ferocious and fearsome fighter in close fights. However, the Samurai was troubled. All his life he had heard references from teachers to something called â€œheavenâ€� and â€œhell,â€� but he never understood precisely what those terms meant. He yearned to know the truth of these things. 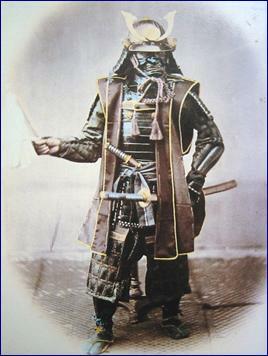 Samurai in Armor. Credit: Wikimedia Commons. The Samurai traveled around Japan engaging in skirmishes and battles and asking everyone he met about this perplexing business of heaven and hell. And everyone he spoke with told him to go and see a certain retired swordsman who lived in a sheltered mountain valley that was inexplicably green, even in winter. The Samurai came to that mountain, climbed it, and found the master happily drinking tea and arranging small flowers in a vase. 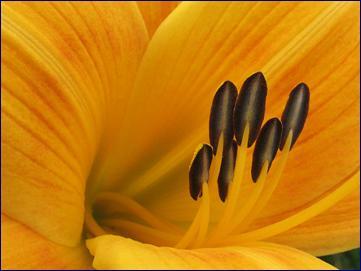 Yellow Lilies. Credit: Wikimedia Commons. All of this is as it should be. In the public sector, no less than the private and civic sectors, leadership takes place only if others consent. The understanding and respect of those you might hope to lead is a contract but the terms arenâ€™t always explicit. Working with people to punch through momentary conflicts and accomplish bigger things is a supreme act of faith that the right course must prevail in the long run. Above all, it is inherently conflictual. Like the weather, conflict is all around us, all the time, everywhere. Politics IS conflict. Conflict IS politics. It is neither good nor bad except in the balancing act of intents and their execution. And the future? The storms of conflict are intensifying. Learn the winds, clouds, and tides. Embrace the coming outbursts. They are filled with hope and light. There is no other choice anyway. 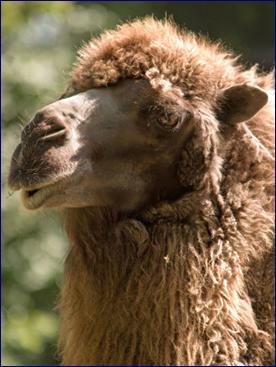 The Eighteenth Camel. Credit: Wikimedia Commons.